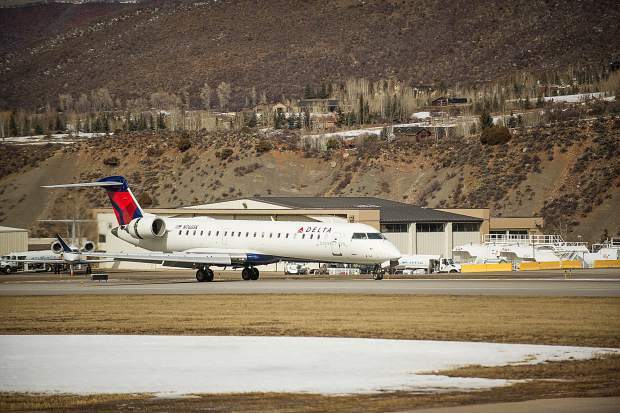 A Delta plane taxis in after landing at the Aspen Airport on Friday. The three commercial airlines serving Aspen will offer as many as eight daily flights from three hubs this spring, Aspen-Pitkin County Airport announced Tuesday. Delta will add new service into Aspen this spring with two daily nonstop flights from Salt Lake City; American will continue its daily nonstop service from Dallas-Fort Worth year-round; and United will expand its spring service from Denver to five flights daily in April and May, up from four flights daily last spring. United also will serve Aspen from Chicago, Houston, Los Angeles and San Francisco through April 8. 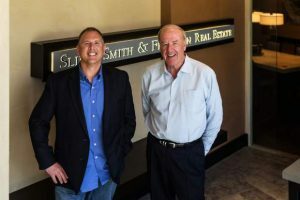 “This spring expansion by all three airline partners should make it a lot more attractive for locals to travel from their local airport,” Aspen-Pitkin County Airport director John Kinney said.